The Irish Film Festival London has announced the recipients of this year’s prizes at an awards ceremony hosted by IFL ahead of the festival. The festival itself gets underway on Wednesday, November 21st and runs until Sunday, November 25th. Now in its 8th year, the Irish Film London Awards highlight and reward the talents of a select number of Irish film makers, whose work has shown great distinction, originality and passion. The Award nominees are hand-picked from the films selected to screen during the festival each year. This year’s line-up includes twenty-eight films, representing Ireland’s latest mainstream and independent productions. The categories include: Best Feature Film, Best Short Film, Best Documentary, The Súil Eile Award, the Best Irish Music Video Award and The Ros Hubbard Award for Acting. The Awards took place in the Irish Embassy in London on Tuesday night. Exploring the strange limbo state that we experience in the aftermath of a break up, Lint follows one person’s bizarre attempt at regaining some sense of normality. Though Kate knows she’s lucky to have become a mother, and her instincts toward her baby are fiercely protective, post-natal trauma and hallucinations make the world increasingly hard to bear. Can anything pull her back to reality - before it’s too late? This film tells the life-affirming stories of a generation of people whose relationships began under one of Ireland’s most iconic landmarks, Clerys clock. Be taken back in time to the days of the Dublin dance halls, courting, sneaking out to meet a fella, and the heart-racing times spent waiting, not knowing if they would turn up. For years, the farmer Thomas Reid has been locked in a grueling battle with his neighbour, U.S. microchip manufacturer Intel. The multinational wants to expand and has its eye on Reid’s land. Eager to boost employment in the region, the Irish authorities are doing their utmost to force Reid into a sale. But the farmer has no intention of leaving his 300-year-old ancestral home, where he lives alone, surrounded by cows and chickens. Feargal Ward’s documentary shows this tenacious eccentric to be a formidable opponent of the system. Irish writer Roddy Doyle was compelled back to script-writing for this Dublin-set drama, which tells a story, inspired by too many true stories in modern Ireland, of Rosie, a devoted mother of four, over a period of 36 hours as she and her partner, John Paul, and their family tries to cope with unexpected homelessness. After a doctor is called to visit a crumbling manor, strange things begin to occur. The Little Stranger tells the story of Dr. Faraday (Domhnall Gleeson), the son of a housemaid, who has built a life of quiet respectability as a country doctor. During the long, hot summer of 1948, he is called to see a patient at Hundreds Hall, where his mother once worked. The Hall has been home to the Ayres family for more than two centuries, but now it is in decline and its inhabitants - mother, son and daughter - are haunted by something more ominous than a dying way of life. When he takes on his new patient, Faraday has no idea how closely, and how disturbingly, the family’s story is about to become entwined with his own. WINNER: Under the Clock, received by director Colm Nicell, presented by Darren Quinton from Tourism Ireland. WINNER: Sarah Greene. The award was received by director Paddy Breathnach on behalf of actor Sarah Greene, presented by Ros Hubbard. 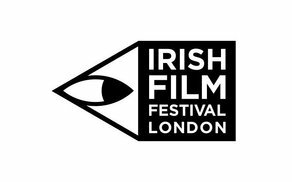 Click here for more information about the Irish Film Festival London.